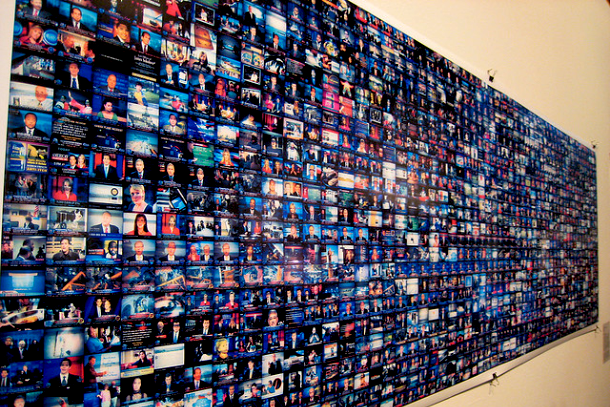 Is more real-time information a dream or a nightmare? Thanks to smartphones and wireless networking and SMS and Twitter, we are all swimming in an ocean of real-time information — an ocean that can often seem overwhelming. Are new technologies going to help, or are they going to increase the problem? A presentation at the recent Society for News Design conference included a video called “The Storm Collection,” whose creators imagined a near future in which real-time updates about a news event would be shown in virtual heads-up displays on picture frames, car windshields and even eyeglasses. But would this kind of technology make our information-overload problem better or worse? In the video (embedded below), the two creators — Matt Thompson, editorial product manager at National Public Radio, and writer/blogger Robin Sloan, who is also part of the media partnerships team at Twitter — talk about some of the technologies we already have for getting live updates about something like a tornado hitting a small town: SMS for text messaging people, mobile media websites with official information, Instagram for sharing photos of damage, and Twitter and Facebook for talking about the event and posting status updates, pictures, videos and so on. Want to watch a video from an unmanned drone? What might things look like a few years from now? Among other things, Sloan and Thompson imagine photo frames that include news-related and location-based updates about the person who appears in the picture (“Sarah checked in at Tornado Safety Zone”), televisions and video terminals that show a real-time video feed from unmanned drones flying over the damaged areas, and heads-up displays embedded in car windshields and eyeglasses that give live updates about damage near the user of the device (“Downed power lines in area, please use caution”). I have no doubt that the things that Sloan and Thompson are describing are close to becoming reality, if they aren’t already. And the benefits of having a photo frame that could update you about the location of the loved one in the picture in case of emergency — by using GPS or a location-based service such as Foursquare, presumably — seem pretty obvious. And if anyone likes a constant stream of real-time news and information about the world, it’s me; I am connected to Twitter almost all the time (as my family will tell you), and I use Instagram and Facebook and plenty of other social services to keep track of what friends and family are doing. But I wonder whether a world like the one portrayed in “The Storm Collection” would be a positive thing for many people, and particularly those who already feel overwhelmed by the waves of information that they are already subjected to — whether it’s 24-hour TV news programs, or Twitter and Facebook, or all the other real-time sources we are all bombarded by throughout the average day. The biggest issue is one that media analyst and journalism professor Clay Shirky has described, when he said the problem with the digital age isn’t so much information overload as it is “filter failure.” As Robin Sloan is no doubt aware, Twitter is a great example of this phenomenon in action: it allows you to follow the comments of hundreds of even thousands of people, as I do, but it doesn’t really provide all that many great ways of filtering that content so that it is manageable. Trending topics is one way, and lists are another, but neither of these provides a great solution. Twitter isn’t alone in this; Facebook has implemented “smart lists” and now allows people to “subscribe” to others in the same way Twitter does, but in some ways this actually exaggerates the problem instead of solving it. Google+ (s goog) has Circles, which allow users to create mini-groups that they can either follow or post their comments to, but many people don’t use them (just as many people don’t use Facebook or Twitter lists, which have been around for a while now). As a result, it’s still easy to become overwhelmed by the “activity stream,” whether it’s Twitter or Facebook or Google. 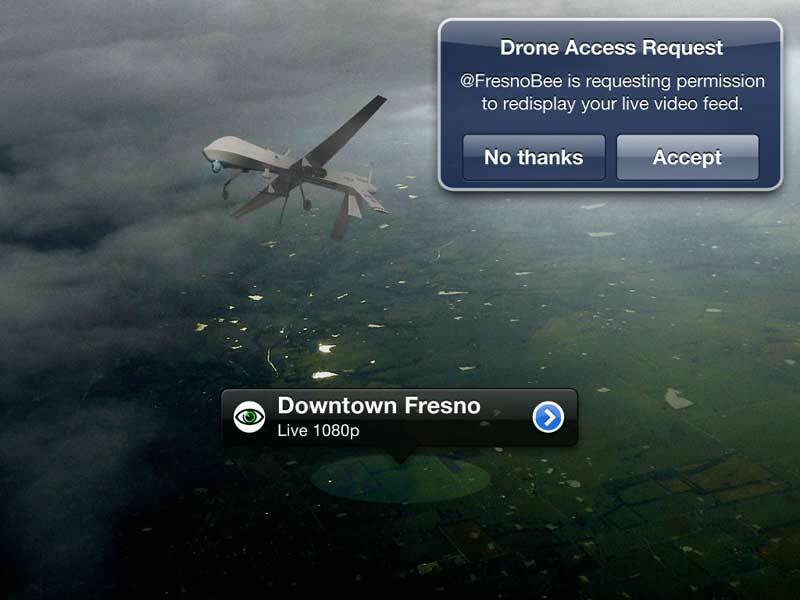 To come back to “The Storm Collection” example, it looks as though Sloan and Thompson see most of the real-time news updates and unmanned-drone videos and so on coming from media outlets (in this case the Fresno Bee, owned by McClatchy). But the filtering problem exists for media companies as well; in fact, in some ways, it’s worse, because they are taking in so many other sources of content in addition to Twitter and SMS and photos. This is complicated by another phenomenon Sloan and Thompson dealt with in a 2004 video project called EPIC 2014: the explosion of “user-generated content” or citizen journalism that blogging and other tools allow. As a post from a BBC “user-generated content” editor described earlier this year, filtering and making sense of this never-ending stream of information isn’t an easy task: The UGC desk at the British broadcaster has a large staff that try to verify and “curate” news reports from Twitter and Flickr and YouTube about events such as the revolutions in Egypt. Andy Carvin of NPR has turned his personal Twitter stream into a one-man newswire of curated and verified “citizen journalism,” but even his output is so massive in some cases that it needs a second set of curators using tools like Storify to filter what he has already filtered. In the presentation to the Society of News Design, Sloan said: “If the world is suddenly this new terrain full of all these new screens and all these new ways to get stories out there, [journalists] should be in the business of identifying rich new territory, sending out scouts, and seizing it.” In the end, the problem may not be identifying or seizing these new territories, but coming up with ways to prevent them from becoming just another piece of flotsam in a never-ending sea of real-time content. Dont tread on ‘privacy’ and rest is all good. We have become lazy by being drawn to Twitter feeds and people-based streams which are easy to set-up, but low on the filtering scale. These are great complements to real filters, but they don’t replace them. If you want to handle real-time information in real-time, then you need more robust tools that help you do that. Flipping your finger through the Twitter stream is a hit and miss experience. You need to freeze-frame the stream or have some tool extract the useful parts and let you consume it without the frenzy that surrounds it. The analogy is real-time stock prices. Look at the daily movements only of a chart and that doesn’t give you any clues about its direction. And you need analytical tools to make sense of it all. Same thing with UGC and real-time content. You’ve got to do two things: a) get real filters into your stream (hint, Eqentia), b) turn the stream off and stand back so you can see the forest from trees (hint, Eqentia). This is absolutely the right question. I suspect the quality of filters will determine whether the big data age is a time of stupefication or more intelligent decision making — and access to great filters will be another kind of digital divide. I’m a tech geek who lives in a very rural and depressed area, and while I can’t wait to have an app on my smartphone to monitor my electricity consumption, or poke around in Palantir’s public data tools, the vast majority of my neighbors don’t live in that world. I worry for them, and for our community as tech zooms forward (taking jobs and the economy with it) without them. At a certain point, while some are empowered by great information, others will be overwhelmed by it, in a cycle that can be tough to get out of. To my mind (and sorry to wander from the article’s topic), tech and the economy are a feedback loop — and all of the promise of tech can become a bubble if only a narrow part of the market adopts and profits from the new tools. (How successful could mobile wallet be, for example, if it never reaches beyond the wealthy to be adopted more broadly?) I’m consistently awed by the horizons of tech development — but also very curious to see how and if there will be innovations specifically designed to bring along the older, the poorer, the less urban. They are the people most likely to find uber-information a nightmare, instead of the dream it could be. Great points, Kate — thanks for the comment. My pleasure, Mathew! Actually, I’m always trawling for info on what I think of as rural tech — and there isn’t much. Are you aware of any sources or writers who cover the subject? Thanks! Here here! More Internet!! And may the best system of discovery, filters and alerts win. Or at least bring us to a new starting line with a world of new possibilities.